We are changing our brand name and transforming into an international operator with our NEW brand name SHUTTLE EUROPE!. Shuttle Europe! brings you a wider choice of routes and more customized approach designed to meet your transport needs travelling all around Europe. Reliable and cheap shuttle transfer service to your desired destinations: Hallstatt, Salzburg, Vienna, Cesky Krumlov, Munich, Prague and much more! We also provide guided tours, scenic stops and custom routes in central Europe. Prague (Praha) is the capital of the Czech Republic located north of Cesky Krumlov and Ceske Budejovice, in the very heart of Europe. We provide quick and cheap and door-to-door transport to Prague from Cesky Krumlov, Berlin, Linz, Salzburg, Vienna, Budapest etc. Our shuttles are on order and are direct. 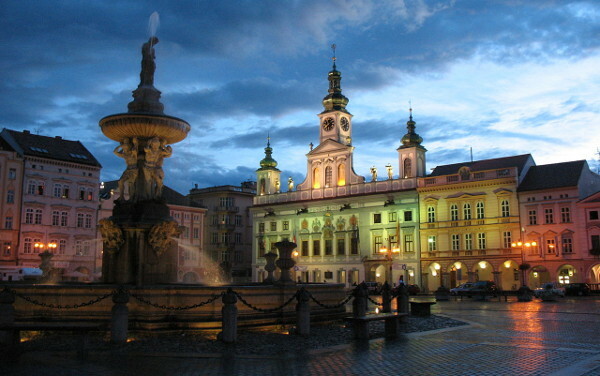 Ceske Budejovice (also known as Budweis) is the South-Bohemian capital located between Prague and Cesky Krumlov. We provide cheap and quick transfers to Ceske Budejovice from Prague, Linz, Vienna, Salzburg, Telc, Karlovy Vary, Berlin etc. We guarantee direct and reliable transport to Ceske Budejovice at unbeatable prices. Cesky Krumlov (also known as Krumau) is a small UNESCO-listed town located in the south of the Czech Republic, in a region called South Bohemia. We operate cheap and direct transfers to Cesky Krumlov from Prague (Praha), Linz, Salzburg, Hallstatt, Vienna (Wien) or Vienna airport in Schwechat, Munich (München), Budapest, Munich airport (Franz Josef Strauß Flughafen), Karlovy Vary, Telc, Warsaw, Krakow etc. We guarantee reliable and cheap shuttle service to/from Cesky Krumlov. Vaclav Havel Prague International Airport (Letiste Vaclava Havla Praha) is the Czech Republic's biggest airport. 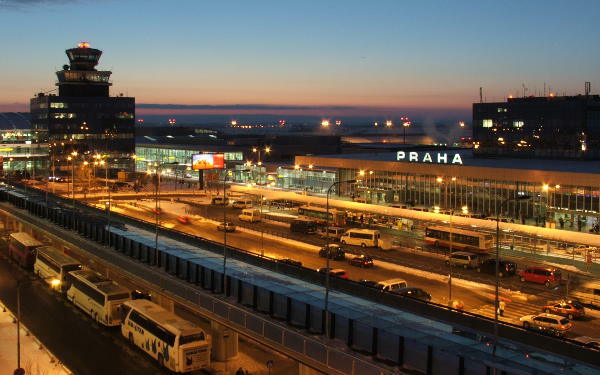 Prague international airport is located near the centre of Prague (Praha) and is the gateway to central Europe with connections to numerous destinations worldwide. 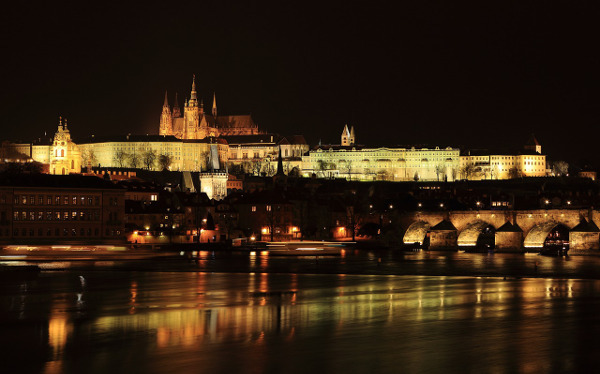 Our cheap busses pick you up and/or take you to Prague international airport directly and comfortably. shuttle to Prague - Airport! 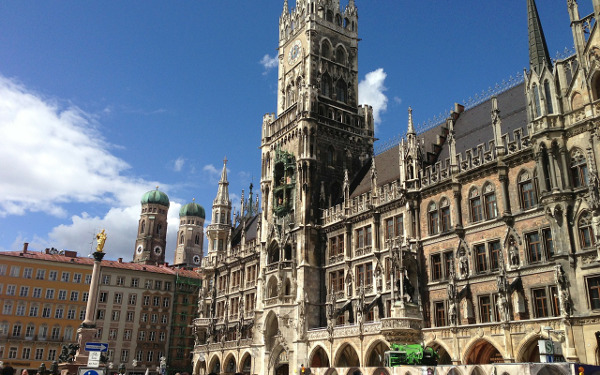 Munich (München) is a modern city located in the German region of Bavaria, approximately 2 hours west of Salzburg. We provide affordable and quick transport to Munich (München) from Cesky Krumlov, Prague (Praha), Vienna (Wien), Berlin, Dresden, Nuremberg (Nürnberg), Budapest etc. We guarantee direct, cheap and reliable transfer service to Munich (München) on order providing you with highest travel comfort. 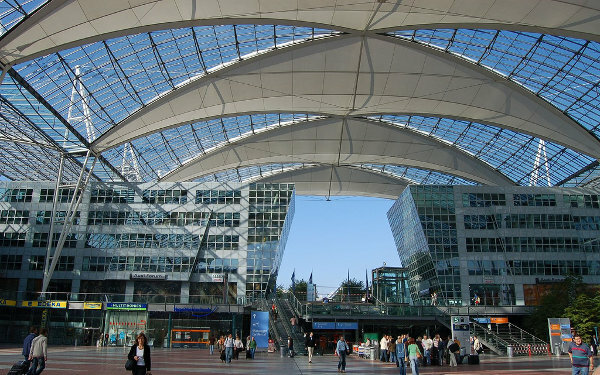 Munich Airport (Franz Josef Strauß Flughafen München) is one of the biggest airports in Europe located approximately 1-hour drive north from the centre of Munich (München). It is also the gateway to German's region of Bavaria. Most of our shuttles avoid the centre of Munich making our transfers one of the most reliable methods of getting to Munich airport. shuttle to Munich - Airport! Berlin is the capital city of Germany. It is located approximately 360kms north of the Czech capital of Prague (Praha) and about 70kms from the border with Poland. 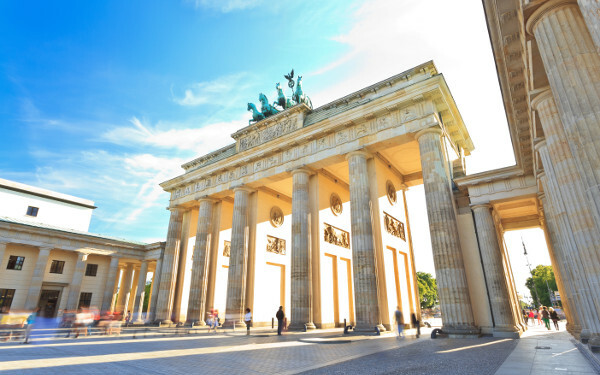 Berlin belongs to the most popular tourist destinations thanks to its dramatic history. Berlin is also a modern town with some of the most open-minded and tolerant population, which offers an unlimited choice of cultural, social and architectonical experiences. 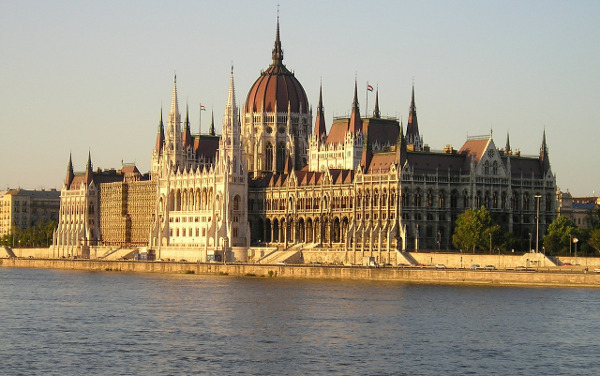 Budapest is the capital of Hungary located east of Vienna. We operate low cost and quick transport to Budapest from Cesky Krumlov, Ceske Budejovice, Prague (Praha), Vienna (Wien) etc. We guarantee direct, reliable and cheap shuttle service to Budapest on order. 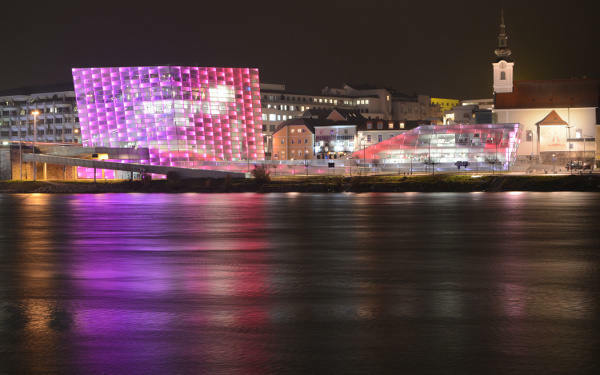 Linz is located half-way between Prague (Praha) and Salzburg or Hallstatt or between Vienna (Wien) and Passau. We operate quick and cheap shuttles to Linz from Cesky Krumlov, Prague (Praha), Hallstatt, Salzburg, Vienna (Wien), Graz etc. We guarantee cheap, direct and reliable transport service to/from Linz on order. 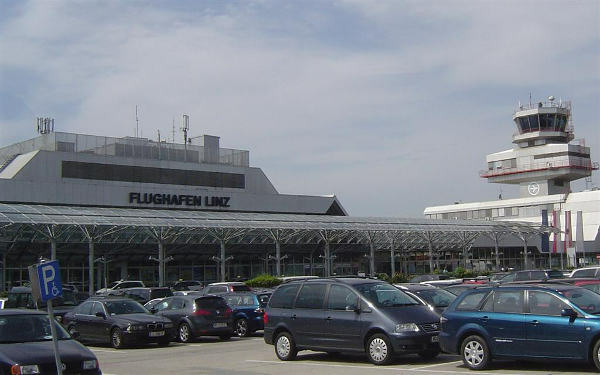 Linz international airport in Hörsching (Blue Danube Airport) is a small airport conveniently located near Linz (Austria) and Cesky Krumlov (Czech Republic). It has regular connections to London in England and a number of other destinations (especially in the south of Europe). shuttle to Linz - Airport! Salzburg is a town in the south of Austria near the border with Germany. 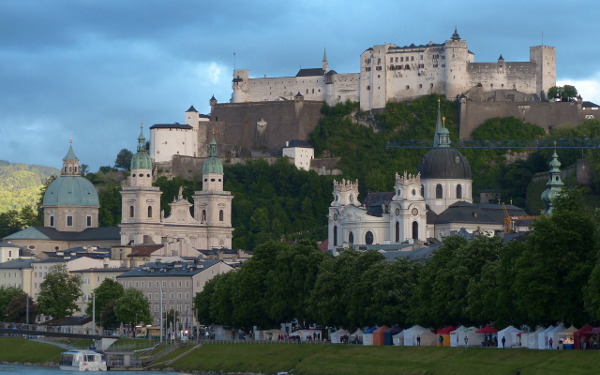 We provide cheap and direct transport to Salzburg from Cesky Krumlov, Prague (Praha), Hallstatt, Linz, Vienna (Wien), Munich (München), Passau, Graz etc. We guarantee cheap, reliable and quick shuttle service to/from Salzburg or Salzburg airport on order. Hallstatt is a tiny UNESCO-listed town located in the heart of the Austrian Alps to the south of Linz. 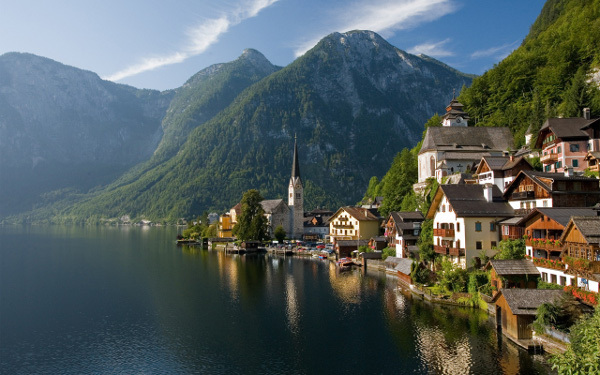 We operate cheap and quick shuttles to Hallstatt from Cesky Krumlov, Linz, Prague (Praha), Salzburg, Vienna (Wien), Munich (München), Budapest etc. We guarantee direct and reliable transport service to/from Hallstatt on order substantially reducing your travel time compared to public transport. Vienna (called Wien in the local language) is the capital of Austria located in the east of the country between Linz and Budapest. We operate low cost and direct shuttle service to Vienna from Cesky Krumlov, Ceske Budejovice, Prague (Praha), Salzburg, Budapest, Munich (München) etc. 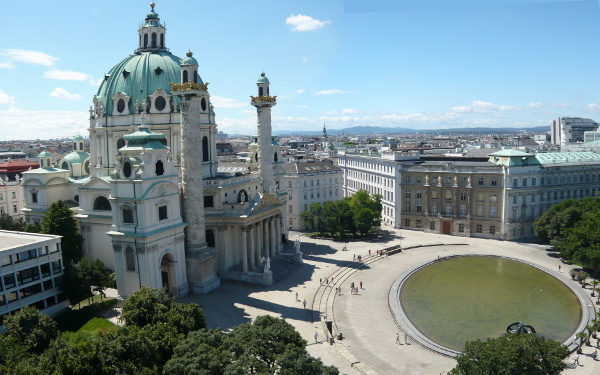 We guarantee quick and reliable and cheap transport to/from Vienna (Wien) on order. 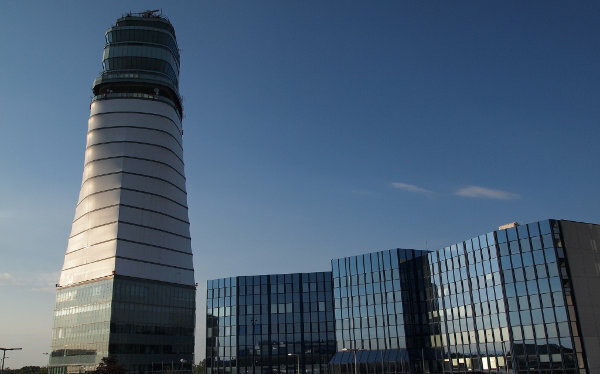 Flughafen Schwechat (Vienna International Airport) is Austria's biggest airport located in Schwechat east of Vienna (Wien) with connections to numerous destinations worldwide. It is also conveniently situated near Bratislava and Budapest. We offer direct and cheap shuttles to and from Vienna airport. shuttle to Vienna - Airport! Visit the captivating venue dedicated to Swarovski jewellery located in the picturesque surroundings of the Austrian Alps. 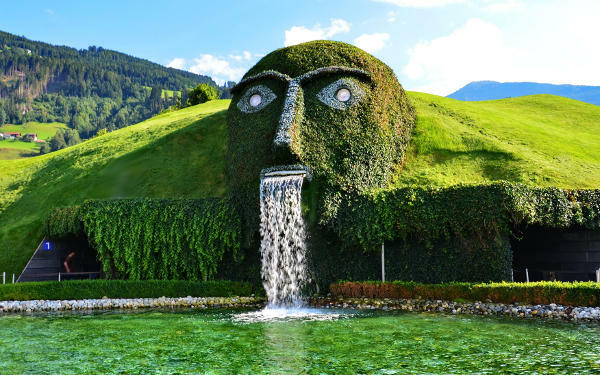 Kristallwelten Swarovski in Wattens (Swarovski Crystal Worlds) is a magnificent complex of venues combining the natural beauty of the surrounding Alpine hills and the world renown production of Swarovski jewellery. shuttle to Swarovski Crystal Worlds in Wattens! 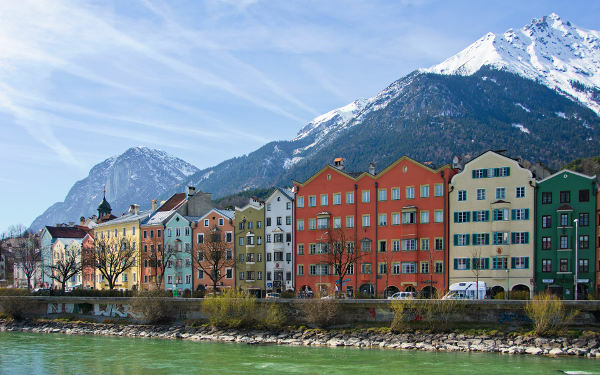 Halfway between Verona (Italy) and Munich (Germany), Innsbruck has a beautiful surrounding in the middle of the Alps. With its rich history, this wintersports-living city with 125,000 inhabitants is a must-see while touring through Austria. Take your travelling to the next level and get yourself a guided tour wherever you want! Don't waste a second waiting for bus, train or scheduled transfer and enjoy your trip to Europe to maximum with a custom shuttle service! Travelling in a pair or a group? Save more by travelling with others. Our shared-shuttle price decreases with every person onboard. Full capacity can save each traveller up to 30%! Even if you travel alone, see our half full shuttles and book your seat to fill it up and save money. Share us and get 10% off!